Can you believe all of these Keneally shows? I gotta bring some books back to the library before I leave the country so I’m making this quick! Hi! What the hell! I hope you’re good! I’m good, grateful you’re reading this, grateful to Scott Chatfield for putting these words out there to you via the Keneallist, and grateful for all the gigs I’m about to do, the musicians I’ll be playing with, the audients who shall be witnessing, and the hard-working folks who’ve put the dates together (special thanks to George Hofmann at Shooter and Julie & Rodney Cord at Blue Mouth Promotions). There are a number of performances coming in the very near future featuring myself inserted within a varied array of musical disciplines! First a gig in Slovenia on July 15 with SUPERHAMMERS (Stu Hamm, Chad Wackerman and myself) at the Beer and Flowers Festival in Lasko (played this fest with Satriani last year, so much fun; excited for my first performance with this trio!). Stu just posted video on his Facebook page of me and him practicing his song “Radio Free Albemuth.” I’m playing the melody on guitar and keyboards simultaneously. I’m working it out, hopefully it’ll feel ready for the stage in three days. If you see me playing the melody on only one instrument you’ll know I didn’t feel ready but I will feel no shame. 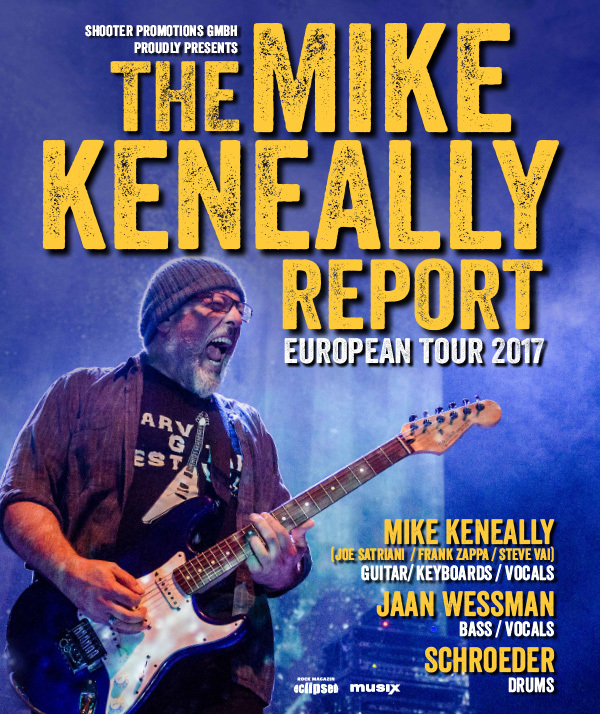 Then a couple of weeks of German dates with Jaan Wessman and Schroeder (formerly known as Mike Keneally & Friends, this trio is now formally identifed as THE MIKE KENEALLY REPORT. Because it’s a much better name! Schroeder thought of it!). I am really blazingly happy to be playing with Jaan and Schroeder again this year and I’m looking forward to some wonderful shows, premiering some tunes we’ve never played together, including stuff I’ve never played in Germany at all. This band is a blissful thing for me, I hope some of you can be present for these gigs. Then there’s a show in Brazil with Joe Satriani but I still don’t see it announced anywhere so I’m not announcing it either, really. This doesn’t count! But I have plane tickets so I assume it’s happening. I’ll put the word out officially as soon it seems official. Then I’m doing two days at GUITAR WORKSHOP PLUS at Seattle University, August 15/16 – a performance and a clinic. Deep music diving into a bunch of my songs and other things. I like Seattle. I do! 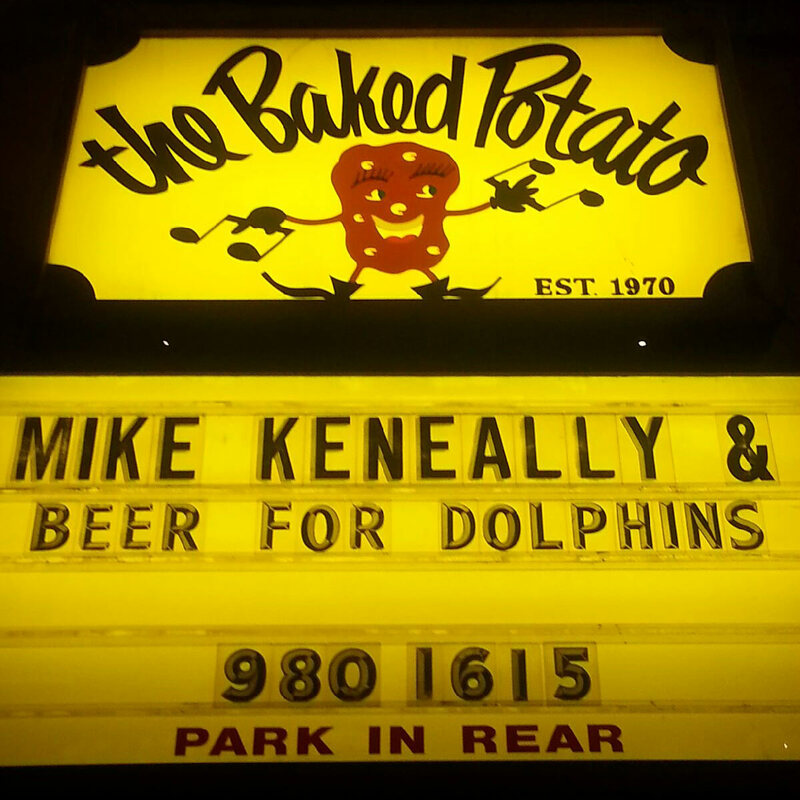 Then a short but sweet series of California dates with the BEER FOR DOLPHINS quartet (me, Rick Musallam, Bryan Beller and Joe Travers). LA, SF, Napa, San Diego. So happy about these shows. Finally I’ll just say that I really love the new Beach Boys 1967 compilation Sunshine Tomorrow which has the first-ever stereo mix of the whole Wild Honey album which would be awesome enough for me even if there weren’t an additional two hours of Smiley Smile outtakes and live recordings and rehearsal tapes and stuff… it is wonderful! It is a reminder that it’s a great thing to be alive and have access to fantastic things like this. Fantastic things such as the library, which is where I’m going now.